Birding trails offer birders, naturalists, and eco-tourists opportunities to explore diverse habitats near home and across the state of Michigan. Birding trails are typically driving routes linking prime birding locations. The growth of birding trails combines Michigan residents’ and visitors’ passion for birding and love of the open road, creating new opportunities for connecting birds and people. Communities across Michigan are recognizing birding as an economic driver. The US Fish and Wildlife Service indicates that wildlife-watching generates a billion dollars of economic activity in Michigan every year. 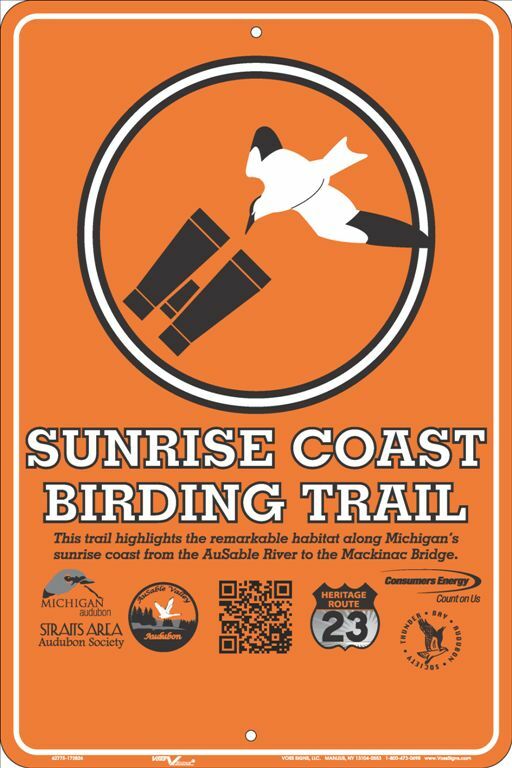 Michigan’s grassroots-driven birding trails are a demonstration of the commitment of citizens, businesses, non-profit organizations, and agencies to preserving natural resources and promoting bird appreciation. 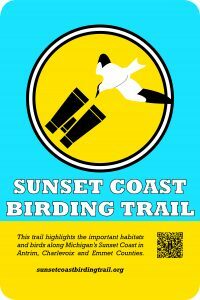 Formal birding trails are still relatively new in Michigan. The Sleeping Bear Birding Trail debuted in 2013, sparking trail development elsewhere in the state. 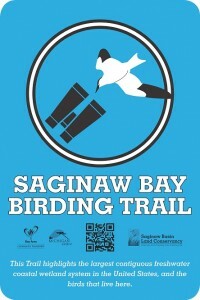 Some trails are marked by signs at each site, while others, such as the Superior Birding Trail in the Upper Peninsula, exist only in web or brochure format. The construction, promotion, and development of Michigan’s birding trails is supported by varying sources of funding. Michigan Audubon provides in-kind support to all of the state’s birding trails. Please visit each of the trail websites to plan your next adventure, and be sure to thank each sponsor if you can. Contact Michigan Audubon, at birds@michiganaudubon.org for more information on how to get involved, learn more, and even start your own birding trail! The heavily forested Crawford and Roscommon counties in the heart of northern Michigan have long been a delight for birders and a haven for endangered and migratory species. 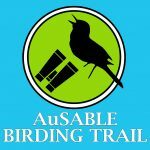 The AuSable Birding Trail takes you through the woods and into the wetlands, from the protected nesting of the Kirtland’s Warbler to the towering aeries of the populous Bald Eagle. Birders, novice to expert, are invited to bring their eyes and ears (and binoculars and cameras) to the trails, woods, and waters of the AuSable Birding Trail for a rewarding birding experience. As the largest island in Lake Michigan, Beaver Island is a critical stopover site for migratory birds flying up the lake on their way north to breeding grounds. Many stay to nest. The Beaver Island Birding Trail encompasses more than 12,000 acres of state lands and township lands and four Little Traverse Conservancy preserves. It includes examples of each of the island’s diverse habitats along more than 100 miles of roads. The Beaver Island Birding Trail features Warblers on the Waters Memorial Weekend Events. This weekend is specifically designed for all levels of birders guided by expert field guides. In addition to field trips around Beaver Island, birding presentations will take place throughout the weekend. 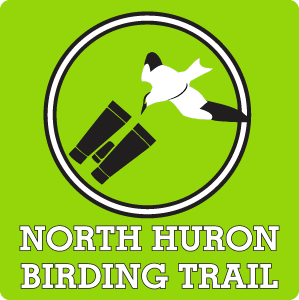 The North Huron Birding Trail is has five unique birding zones: St. Ignace, Les Cheneaux Area, DeTour, Drummond Island, and Pickford Grassland Area. The north shoreline of Lake Huron in Michigan’s Upper Peninsula has long been known as one of the most beautiful and pristine areas of wilderness in all of the Midwest. The Nature Conservancy has recognized this area of shoreline as one of “The Last Great Places” in the Northern Hemisphere, and for many years countless folks have escaped to this area to enjoy the bounty of natural wonders it has to provide. The rocky shorelines and protected bays create excellent habitats for many species of sport fish, a multitude of rare orchids and ferns, and one of the Midwest’s most diverse collection of bird species. 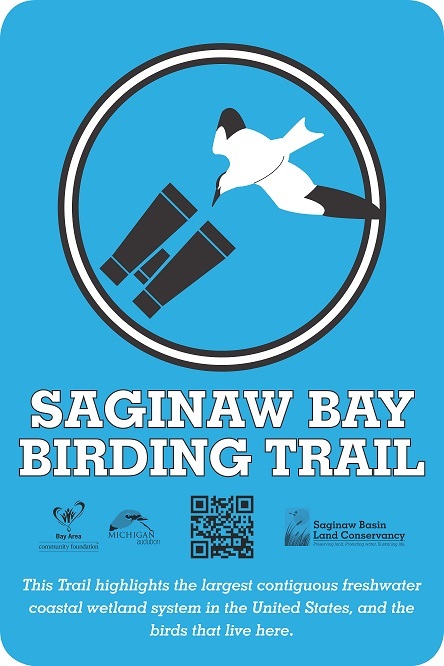 The Saginaw Bay Birding Trail covers a total of 142 miles, including Michigan Highways M-25 and M-13, as well as 40 miles of the US-23 State Recreation Byway (Standish to Tawas).The Trail runs from Port Crescent State Park on the eastern end to Tawas Point State Park on the western end, and largely follows the shoreline of the entire Saginaw Bay.The distinct change in seasons, diverse habitats, sprawling miles of shoreline, over 200 species of birds, plus extensive natural areas with public access, make the Trail a birder’s paradise. Michigan’s Sleeping Bear Birding Trail (“SBBT”) spans an exceptional migratory flyway and thousands of public acres along the Lake Michigan coastline. The Trail is home to the Piping Plover, an endangered shorebird that needs vast stretches of undisturbed beach. The Trail is anchored by Sleeping Bear Dunes National Lakeshore, a National Park and an Important Bird Area (“IBA”) with 71,000 acres of public land and 35 miles of beaches. The length of the Trail covers all 123 miles of Michigan Highway M-22 which runs from Manistee on the southern end to Traverse City at the north terminus. Michigan Audubon’s Lake Bluff Bird Sanctuary is the southern terminus. The Sunrise Coast Birding Trail incorporates 145 miles along U.S. 23. The trail takes flight at the mouth of the famed AuSable River in Oscoda and wings its way north all along the Lake Huron coast to Mackinaw City.Birders will delight in observing the common, threatened, or endangered birds of Michigan’s coastal and inland locations.The unique Kirtland’s Warbler habitat, managed by the U.S. Forest Service west of Oscoda, is a destination where one may get a memorable glimpse of this highly vulnerable and protected species. The endangered Great Lakes Piping Plover also nests here along the northern shores of Lake Huron which provide critical habitat. The spring Raptor Watch at the Straits of Mackinaw will thrill observers as thousands of these birds cross the Straits during seasonal migrations. The Sunset Coast Birding Trail showcases the diverse birds and natural features of Antrim, Charlevoix, and Emmet counties and benefits the local communities by promoting economic development and environmental stewardship.The three counties, located in the northwest area of the lower peninsula, host a wide variety of protected areas and habitats that attract a large number of Michigan’s 400-plus bird species. 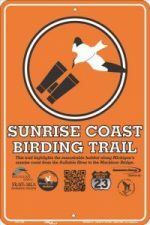 The SCBT will feature approximately 30 primary sites on Sunset Coast Birding Trail Website, printed map, and with signage on location. Another 30 secondary birding sites will be identified solely on the website. Anchored by Whitefish Point in the north and the Seney National Wildlife Refuge in the south, the 150- mile Superior Birding Trail guides visitors through the rugged and rare ecosystems of Michigan’s Upper Peninsula.Whitefish Point is a globally-significant Important Bird Area and a remarkable migration funnel for raptors, waterfowl, shorebirds, and passerines. The Tahquamenon River watershed includes unique habitat such as climax forests, peat bogs, pot hole lakes, and jack pine plains. The Seney National Wildlife Refuge is a 95,000-acre federal property that features a mix of lakes, wetlands, and forests. Visitors access the refuge via designated view routes and also by footpaths.